I have not covered Happy Walters all that much on this website. Other than really loving his first name, I never have come across anything all that newsworthy. But that does not mean that the sports agent (amongst many other professional titles) is not a spectacular human being. In fact, after receiving a rundown about Happy’s life from one of my current interns, I now wonder why I never paid him more attention. Perhaps he just does a phenomenal job of keeping himself out of the news as much as possible and making sure that when his name does hit the papers, nothing horrible is said about him. Type in Happy Walters into a Google Search. One of the top listings is his IMDB page. Did you know that Happy Walters was the inspiration for Adam Sandler to create his hit movie, Happy Gilmore? If only poor Chubs would get his hand back. Sandler was even Happy’s Best Man at Happy’s wedding. While Happy Walters has really established himself in the world of sports, he is also a giant on the Entertainment side. With sports and entertainment becoming more one-and-the-same by the day, this has to work in Happy’s favor. 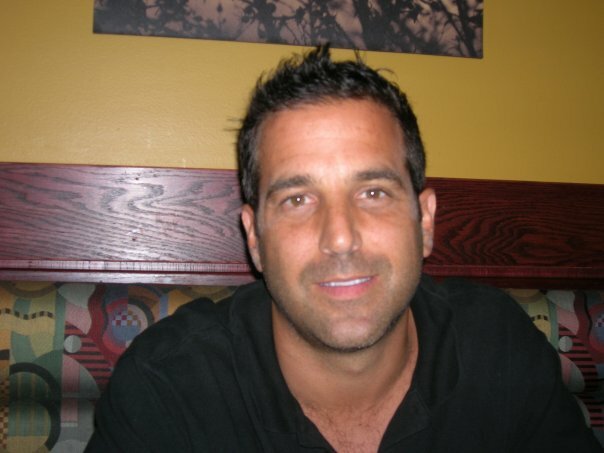 He is very big in the Music scene (as a supervisor) and has also produced quite a few movies and TV shows. Music Supervisor, Producer, Sports Agent (which I have not even got to yet), and photographer? Another top Google Search result leads to Happy’s personal website at www.HappyWalters.com. This is the official Happy Walters Photography website, where Life Portraits, Color Photography, and Music Photography are highlighted. People think that I am a busy man? I bet Happy Walters has a little bit more on his plate. When he is not bringing bands like KoRn and Cypress Hill to the forefront of music, he is also managing athletes. His biggest client is Amare Stoudemire, but he also represents DeJuan Blair, Shawne Williams, Curtis Jerrells, and former Florida Gator, Corey Brewer. There are other basketball players on his clientèle roster, and Happy may even make a splash in this year’s draft. Rumors have been surfacing lately that Happy may have a solid chance of representing University of Kentucky’s, John Wall. He has already signed UTEP’s Derrick Caracter. Happy Walters’ company in the Music industry is called Immortal (EMD). So when he started his agency to represent athletes, it made sense to call the new venture, Immortal Sports. But it looks like things are changing on the sports end. 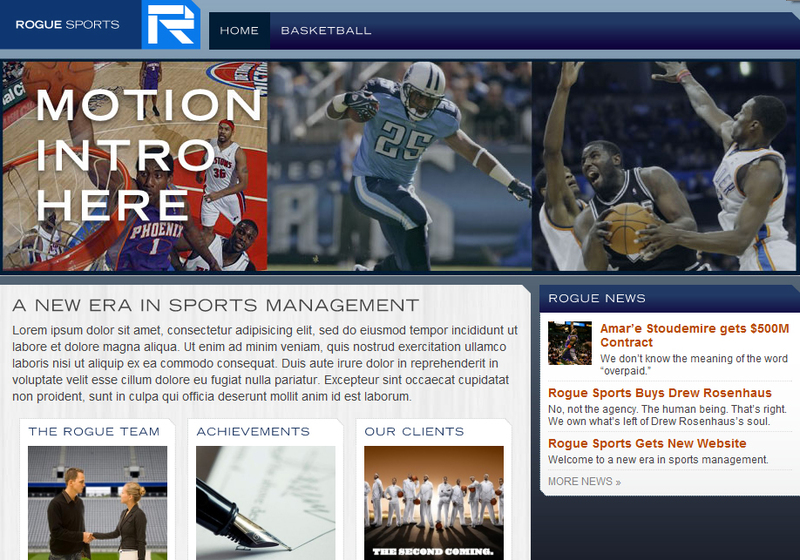 Happy is transitioning to creating a new sports entity called, Rogue Sports. In fact, the website for the new company is already under development. It will probably be taken down or moved sometime soon after posting this, but I find the headlines quite humorous, so I am taking a screenshot and posting it here for your enjoyment. Make sure to read the one about Drew Rosenhaus! To conclude, I think it will be very interesting to track Rogue Sports and all of Happy’s ventures in the future. Reading a bit more about his past, I definitely commend Happy and look up to him as a pure entrepreneur and someone who should be respected in this industry. Good luck to him with this year’s draft class and in all future pursuits.